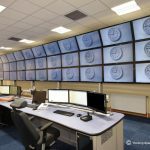 Thinking Space Systems have just completed control room furniture for Blackburn and Darwen Borough Council at King Georges Hall. 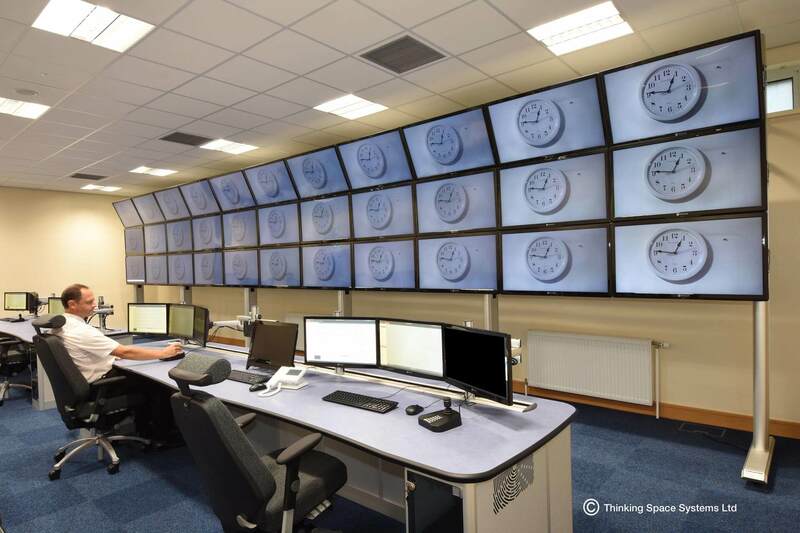 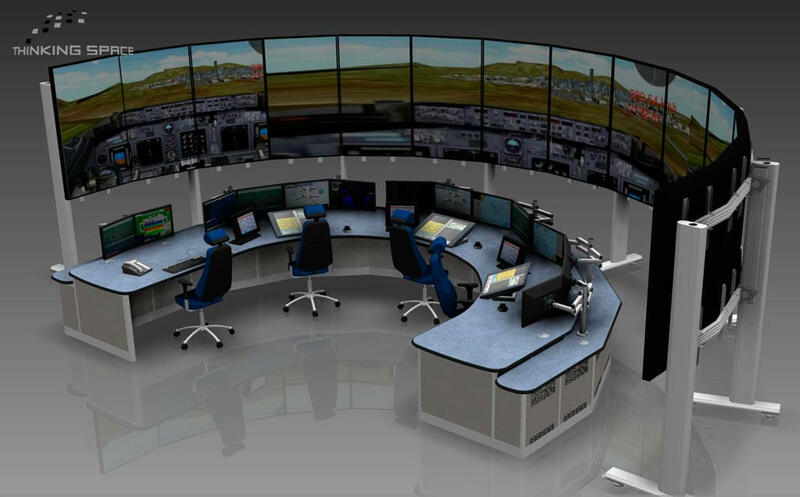 The new security control room for the Community Safety Team, features 2x two person operator consoles and 2 x single person supervisor consoles, which are all focused towards a large Evolution media wall. 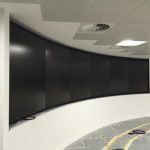 This record-breaking media wall spans some 11 metres across the room. 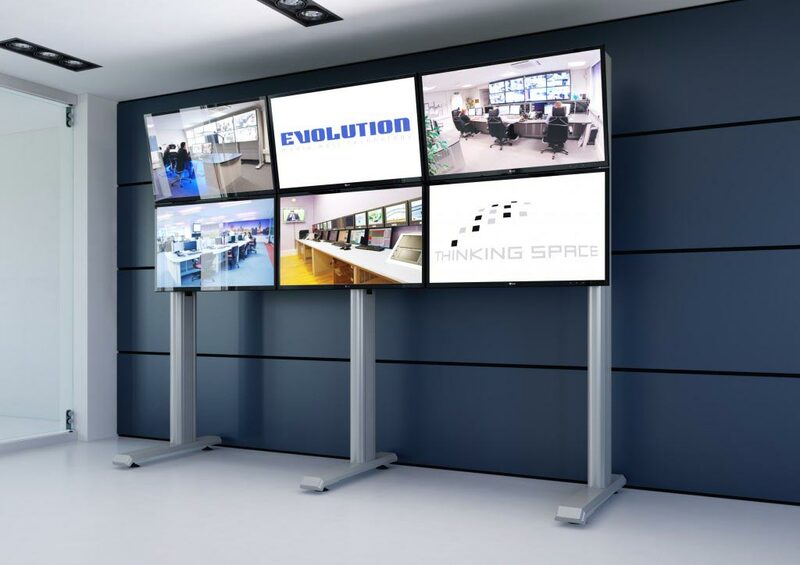 The media wall is completely customised and accommodates the mounting of 33 x 42” screens, in an 11 screen by 3 row configuration. 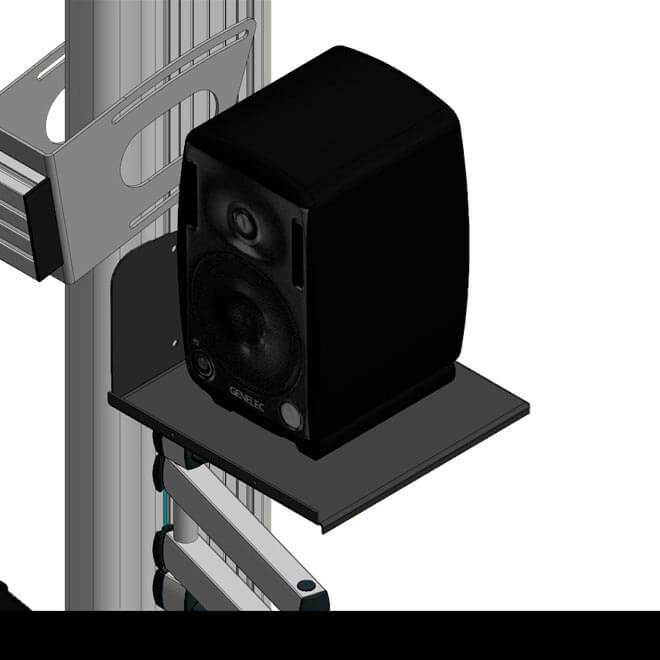 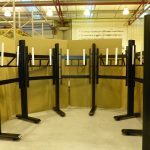 Special fixing brackets at the rear of the media wall, anchor the media wall to the control room wall, to give maximum stability and peace of mind with its large span. 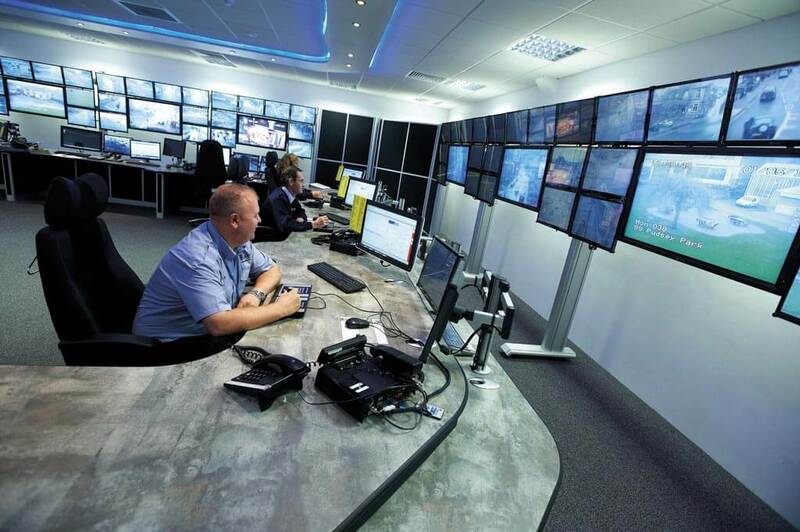 “Thinking Space have supported this project from beginning to end and I’ve found their advice and help invaluable from initial planning stage, marking out of the floor to ensure sight lines were correct to final installation” explained Peter Wareing, CCTV Service Manager, Blackburn and Darwen Borough Council. 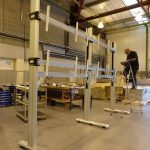 “The end product looks fantastic and will help me to provide an excellent service to existing and new customers”.